The first snow totals for the past 24 hours are arriving from the Alps this morning, with so far resorts reporting up to 27cm - at Grimentz in Switzerland - reported since Sunday morning. 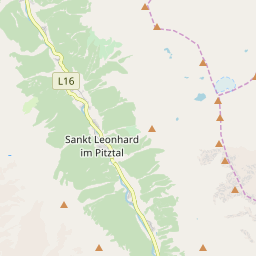 Other resorts reporting big totals include St Anton and Solden both posting 20cm of fresh cover and the Pitztal and Stubai glaciers 15cm each. There has also been 15cm of snowfall in Geilo, Norway. 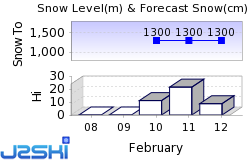 Forecasts are pointing to this being the start of an ongoing period of snowy weather in the Alps with similar snowfalls expected over the next few days. So far the snow conditions are rather marginal however, the Chamonix Valley received rain for much of yesterday except for at high elevations and even on the glacier at Solden the resort reported the snow was 'heavy and wet' this morning (as pictured top). Saw people had nice fresh tracks in Courmayeur yesterday so is definitely building up high and glaciers are getting filled in. Overall would say is a pretty normal start to season if a little warm. 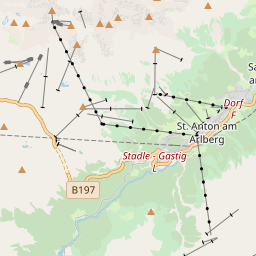 Ski Hire Shops in St. Anton am Arlberg, Sölden and HochZeiger. At least 24 Austrian Ski Areas, including Bad Gastein, Kitzbühel, Obergurgl-Hochgurgl, Obertauern, Saalbach Hinterglemm, St. Anton am Arlberg and Sölden are reported to be open.